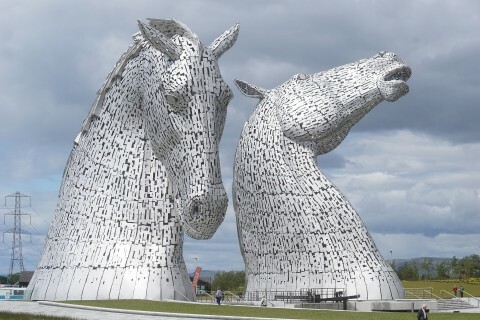 Our new Outlander and Game of Thrones tour is perfect for fans of the two most popular TV shows on screen this year . First of all we take a unique tour of three key locations in the life of Outlander's Jamie Fraser - Lallybroch ( Midhope Castle ) , Jamie's ancestral home , Linlithgow Palace ( Wentworth Prison ) and Blackness Castle ( Fort William ) . Then we visit Doune Castle , heavily featured in Game of Thrones , and also Castle Leoch In Outlander . The first location on this tour is Lallybroch - Midhope Castle, ancestral home of Jamie Fraser . Outlander scenes were shot at Midhope Castle on the fringes of the Hopetoun Estate near South Queensferry. Midhope Castle, a 16th-century tower house, is used as Lallybroch(also known as Broch Tuarach) inOutlander. Left to Jamie by his parents, Brian and Ellen, Lallybroch is also home to Jamie’s sister, Jenny, her husband Ian Murray and their children. Lallybroch is a crucial part of Jamie Fraser's life in Outlander . 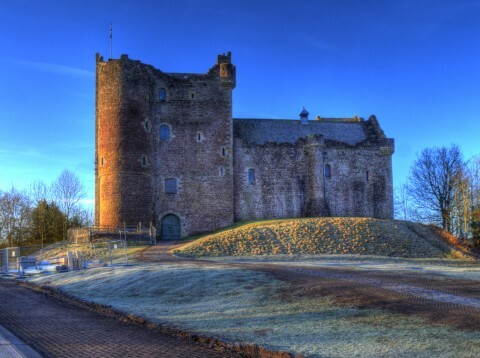 Doune is one of the best preserved medieval castles in Scotland. 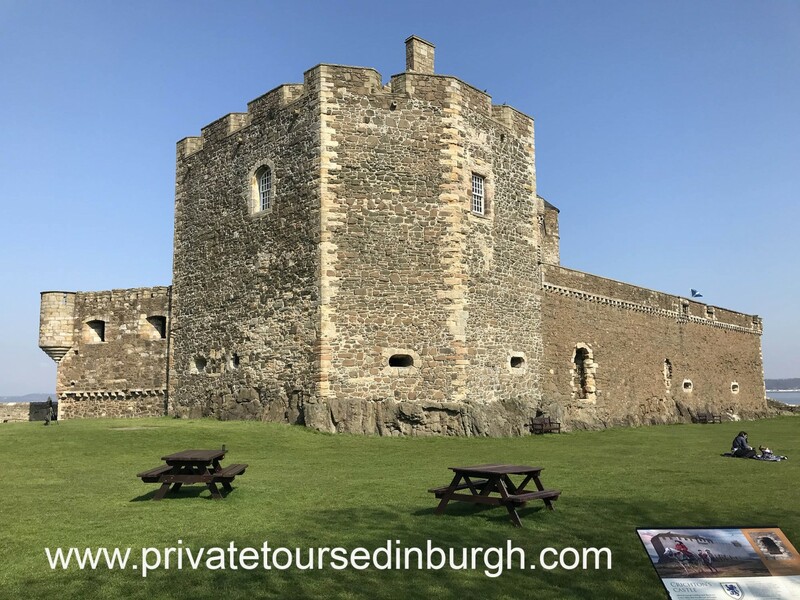 The Game of Thrones castle private tour starts at 10 am and it includes a transfer from Edinburgh to Doune , a driver/guide , a stay of about an hour at the castle plus a return to Edinburgh . 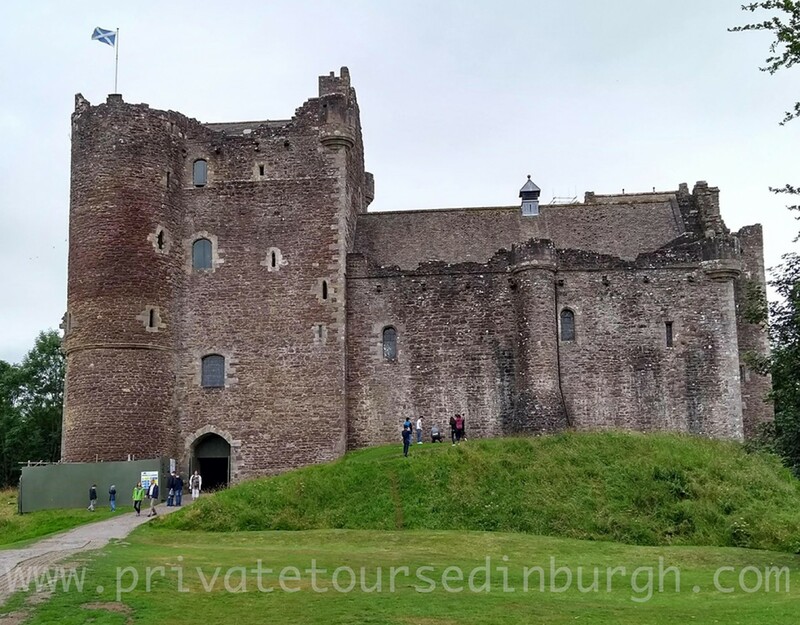 Your guide will give details of the history of the castle , information about the Game of Thrones filming plus all the other films made at Doune Castle including Monty Python and the Holy Grail . Behind the scenes access Visitors to the castle can get details about Game of Thrones filming in the Great Hall and courtyard of the castle . 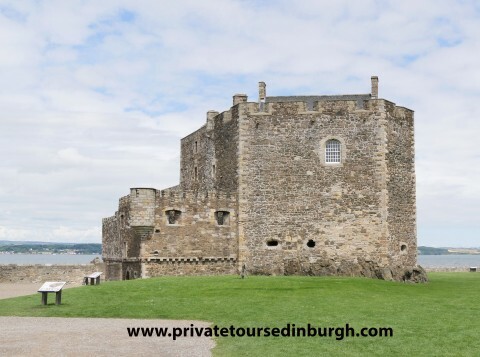 Insider access Take the audio tour of the castle narrated by Monty Python’s Terry Jones and Outlander's Jamie Fraser ( Sam Heughan ) . Game of Thrones t-shirtsThe castle was used as the set for Winterfell in the TV series Game of Thrones(2011–present), an adaptation of the A Song of Ice and Fire series of novels by George R. R. Martin. The castle was also used as "Castle Leoch" in the TV adaption of the Outlander series of novels. The Great Hall is 20 metres by 8 metres , and 12 metres high to its timber roof, again a 19th-century replacement.The hall has no fireplace, and was presumably heated by a central fire, and ventilated by means of a louvre like the one in the modern roof. No details of the original roof construction are known, however, and the restoration is conjectural.Large windows light the hall, and stairs lead down to the three cellars on ground level. The hall is accessed from the courtyard via a stair up to a triangular lobby, which in turn links the hall and kitchens by means of two large serving hatches with elliptical arches, unusual for this period. The kitchen tower, virtually a tower house in its own right, is 17 metres (56 ft) by 8 metres (26 ft). The vaulted kitchen is on the hall level, above a cellar. One of the best-appointed castle kitchens in Scotland of its date, it has an oven and a 5.5-metre (18 ft) wide fireplace. A stair turret, added in 1581 and possibly replacing a timber stair, leads up from the lobby to two storeys of guest rooms. These include the "Royal Apartments", a suite of two bedrooms plus an audience chamber, suitable for royal visitors.